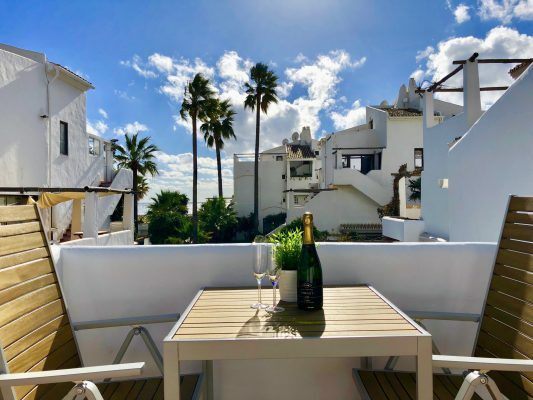 Costa Natura Estepona is a wonderful place, a white-walled Andalusian village “Pueblos Blancos” nestled by the beach alongside the blue Mediterranean sea, with its stunningly beautiful gardens – with one subtle difference is that it is completely naturist. Community owners and visitors can enjoy and do enjoy, naked freedom and relaxation anywhere in Costa Natura village. The Best Family Naturist Resort in Europe. 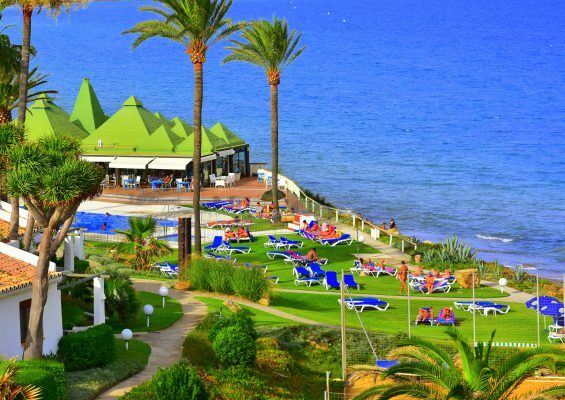 At the end of the Franco-era Spain gave up its prudish attitudes to naturism and being naked and gave approval for the Naturist Holiday Village Resort Costa Natura in Estepona. The original plan by the French Company Dumez and its subsidiary Naturaleza Costa Del Sol was for 630 apartments with very elaborate facilities. Building started in 1979 with the first sales in 1981 to a range of worldwide naturists and nudists. In 1979 the Costa Natura beach was the first designated naturist beach in Spain and still has its original Royal Decree. Although the original intentions were to have 630 apartments 200 apartments actually got constructed in beautiful surroundings with 2 Pools, a Restaurant Bar, Kiosk Bar, Social Club, Jacuzzi, Sauna, Petanque Court On the beachfront are multiple beautiful lush sunbathing lawns next to a large blue pool (solar heated) and a small childs pool. beautiful towns on the Costa Del Sol.